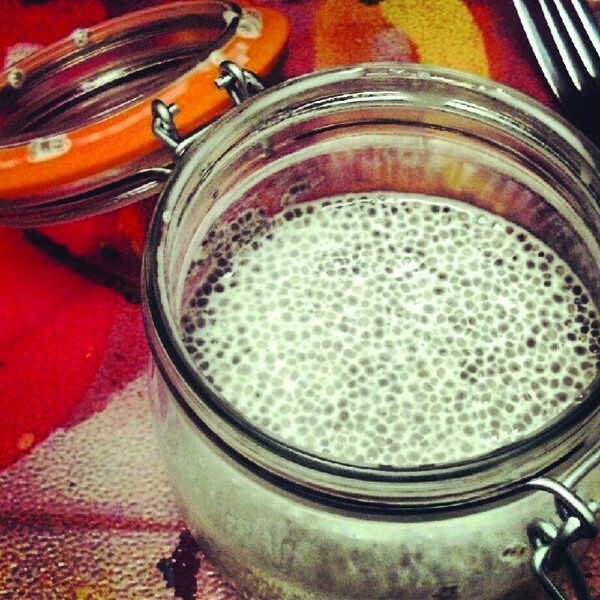 They won't grow into pets, but chia seeds are fun, healthy and mysterious. Sprinkle them atop a salad for a good protein and fiber supplement, sure. But leave them in liquid for just 10 minutes, and it's like Gremlins all over again. The package won't say anything about the gelling effect of chia seeds, only the virtues of the omega fatty acids and an Aztec heritage. Stir a tablespoon or two into any drink, let it sit for at least 10 minutes, preferably in a cold place, and the tiny seeds become surrounded by a force field of flavorful gel, increasing the size of each seed about 500 percent. On their own, the seeds are flavorless. But they soak up and amplify the flavor of any liquid, and the resulting concoction resembles tapioca bubble tea, or boba. Try leaving seeds in some coconut milk overnight and adding fruit in the morning; blended or stirred, it's an incredible taste that plays with the senses. Chia seeds have about five grams of fat per serving, over half of which are omega-3 or omega-6 fats, the "good" kind also found in avocado and salmon. They also contain about six grams of fiber per serving and three grams of protein—and don't forget calcium and iron, things not easily attainable in a vegan diet. Chia seeds are available at most independent and natural grocery stores.